The first step is to come in for an initial appointment. While there is metered parking available on Lincoln Street, the Beauvallon offers free garage parking. The Beauvallon Building spans 1 city block from 9th-10th Avenue. We have 2 parking garages and are located in the North Tower- closer to 10th Avenue. As you drive in the left lane along Lincoln between 9th and 10th you will notice a large coffee cup marquee on the side of the building for Drip Coffee. Just after this sign is our parking garage entrance. Something important to note: the parking garage is English Style Driving. That is, you will enter the garage on the left, and as you continue to make your way up to the second level you will remain in the left lane. You can park on 1st or 2nd level in any numbered spot. Parking on the 1st level, come out the parking garage opening and enter at 975 through the lobby to elevators. Parking on the 2nd level go through the doors to suite 202. Pain does not have to be permanent. 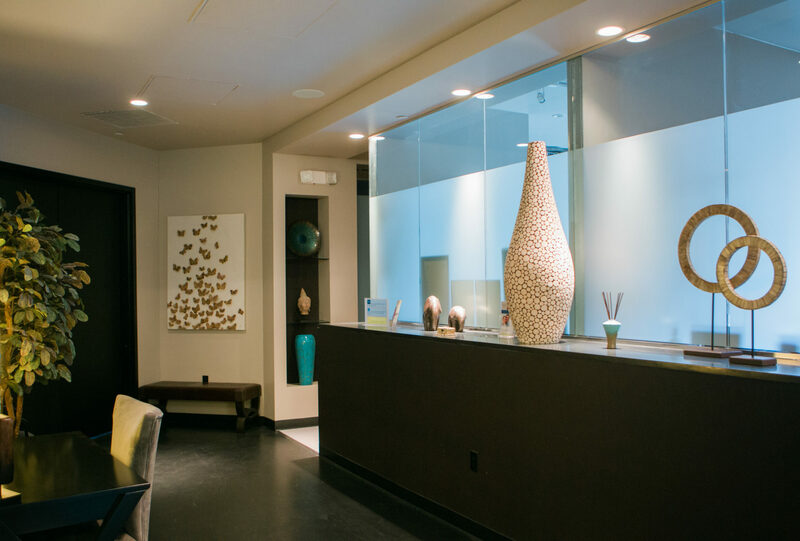 At Balanced Body Center located in the Golden Triangle Neighborhood of Downtown Denver, Chiropractor Trina Woods combines the latest medical technology and alternative medicine with over 15 years of experience to help her patients achieve their optimal health and achieve pain management. She specializes in chiropractic care for pediatrics and adults, acupuncture, clinical nutrition, and women’s health. She utilizes various chiropractic techniques including: applied kinesiology, diversified, drop, extremities, and Activator; TCM acupuncture and the Mei Zen Cosmetic Acupuncture System. Chiropractor Dr. Trina, a highly skilled practitioner at Balanced Body Center in Denver provides acupuncture, chiropractic, massage and other alternative medicine techniques for pain management. Learn more here or call us at (303) 861-6632 today.